PCR technology is very common in todays life science research, clinical diagnostics, and persenolized medicine. There has been significant advancement in this technology in the area of miniaturization, complete genome sequencing, and real time PCR technology. At the heart of all these is the basic requirement of sample management and sample preparation. Samples prepared in a a wrong conditions such as conditions which will degrade the sample integrity, one can loose very valuable samples including precious and valuable patient samples. The days of using a handful of samples for PCR analysis are replaced by high throughput and ultra high throughput PCR analysis of patient’s clinical samples, or mechanism of action during the drug target validation. Samples can be processed in 96 well plates, 384 or 1536 well plates. As the number of sample size increases, so does the variation in sample processing and the results from the tests. If there is very high variation between triplicates of the same samples, the interpretation can be difficult, and may affect the outcome of the experiment or diagnostics. So keeping the variation between samples of the same type is very critical to have the confidence in the interpretation. How the samples are organized and processed can make a huge difference. Keeping the sample tray on a leveled solid, flat surface like a solid aluminum template for the PCR plate is critical. This is better then keeping the sample plates on ice bucket, where it may not be level. If the sample try is not level, it will become difficult to add samples and can make mistake. 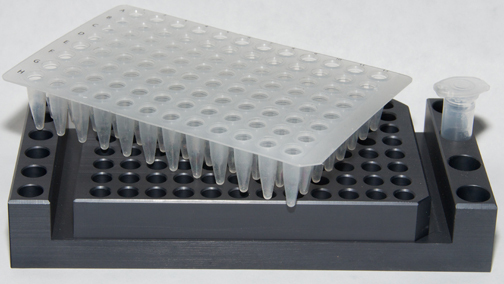 Having a stable flat surface which is made of solid metal (PCR tube rack or PCR tube holder) placed on top of the ice, not only provide a stable platform it also keep the samples chilled to prevent degradation. For the complex specimens, careful preparation of the samples is critical to achieve best results. How the samples are handled, how it is protected from degradation etc. For complex and sensitive samples any element of PCR, no matter how simple can affect the results with serous consequences, and costly waste of samples and reagents. For satisfactory results keep all the reagents and samples cold throughout the master mix preparation and sample addition. Keep all PCR reagents on PCR Cool Block (PCR Cool chamber), which is placed on ice after thawing. Keep the reaction mixture in tubes on PCR cool block until sample addition. Prepare all the reaction mixture and add sample in a timely fashion for consistent results. Several years ago when I was working in laboratory, I did PCR very frequently. Each experiment had a lot of sample to process, mostly RNA samples extracted from cells or tissue. In those days we did the PCR using 0.2 ml individual tubes and 0.2 ml PCR tube strips. For setting up master mix for PCR and to keep the PCR reagents such as Taq Polymerase, and samples cold, I kept all the small 0.2 ml tubes on ice in a bucket. Keeping dozens of small clear tubes straight on ice was challenging, especially to add samples and keeping track of these tubes. After few months of this, it became very painful to go through the process and I knew there had to be a better way to do this efficiently. That is when I thought of designing PCR Cool Block. I went to a local machine shop and asked the owner to make a small tube holder (tube rack) to hold couple of dozen 0.2 ml, and 0.5 ml tubes. I started using them by placing it on ice in an ice bucket. The cool block was made of solid aluminum, and it kept the samples in the tube cold. No only I could keep the samples cold, it also provided a small stable platform to work with. I could prepare temperature sensitive samples in tubes on these cool blocks. During this time new PCR format started to emerge in the market. These were 96 well PCR plates, where you can do 96 samples at once. In order to accommodate the 96 well PCR plate I asked the machine shop to make a larger block with wells corresponding to the tubes. Since some of the reagents for the PCR prep came in 0.5 ml tubes and 2 ml tubes, which needed to be kept cold, made the PCR blocks with additional space to hold the tubes as well as a 96 well tray. After precision machining the PCR Block, the aluminum blocks are anodized to protect the surface from corrosion. Afterwards I made these and gave it to my colleagues to use. At this point I realized that if this item is useful for me, PCR Coo Block might benefit other researchers. I made this into a product and in the last ten plus years, it is very widely received in the market. After few years, I designed the Double PCR Cooling Block, which can accommodate two 96 well PCR tray and reaction tubes on the same block. It is very useful to process two plates or transfer samples from one plate to other. PCR cool block (PCR Cool chamber) also provide a stable platform to prepare large number of samples without worrying about keeping them straight, or floating in ice water when the ice melt. If you prepare 96 well PCR plates, tube strips or individual tubes, this is a very useful product. I am James Maliakal, writer of this blog and is with Pioneer Scientific. I have 12 plus years of experience working in the research lab in academic and leading life science companies. From my years of experience, I have designed and developed unique products which made my work a little easier and efficient in the lab. I have authored and published in peer reviewed journals. 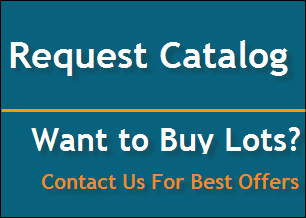 Pioneer Scientific is a leading manufacturer and distributor of innovative products, high quality laboratory instruments, and research tools. Contact me to know more.